Today Eisenbahngesellschaft Potsdam (EGP) received its second Vectron locomotive. 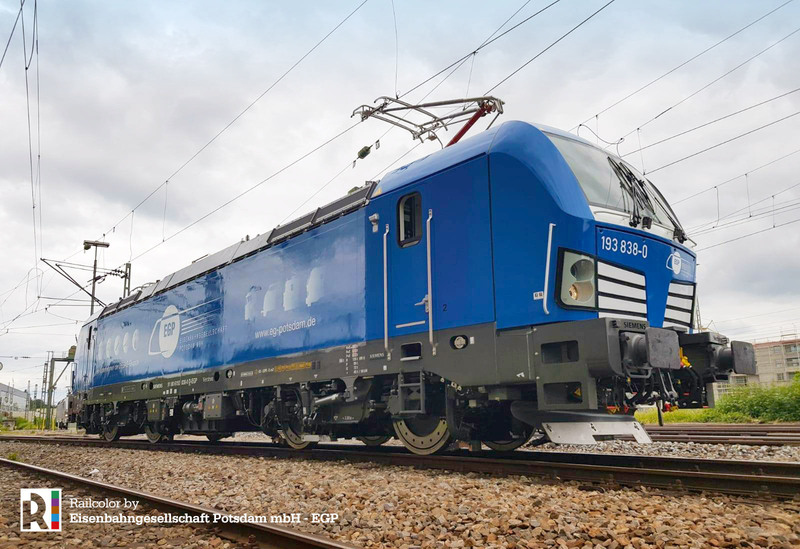 The German rail freight operator ‘picked up’ the new blue locomotive in Regensburg, were Siemens commissions many new Vectron locos at this moment. The new locomotive is the designated 193 838. EGP states that the newby will be operated between Ingolstadt – München and München – Mosel during its first days of service.